It would help with photos. This description is ambiguous, and being an owner of a JM, I can not picture the location you are discussing. I found my problem my fliptronics board got a power surge during a storm and it is fryed.gonna order a rottendog replacement. Will this fix the issue? Which fuse is blowing...F### ? Page 1-44...which fuse is blowing? 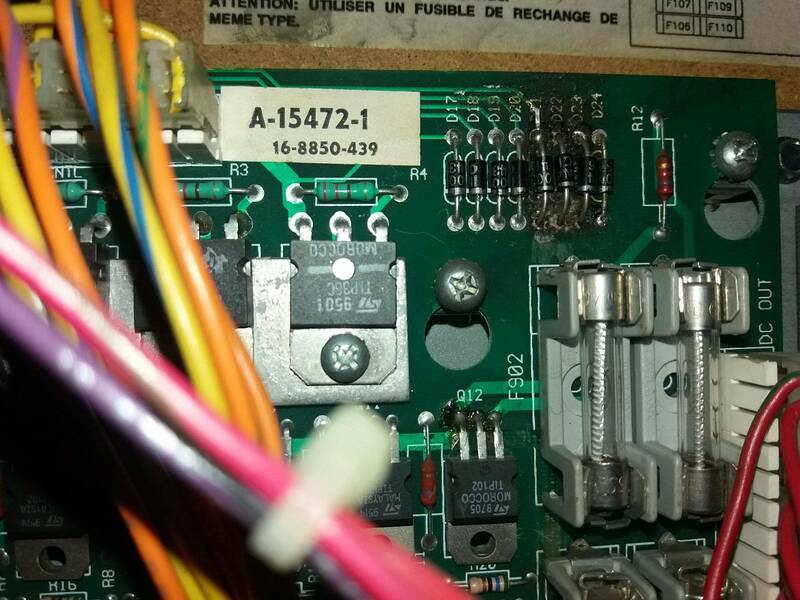 He mentioned it: The main fuse inside the power box on the right side of the cab. 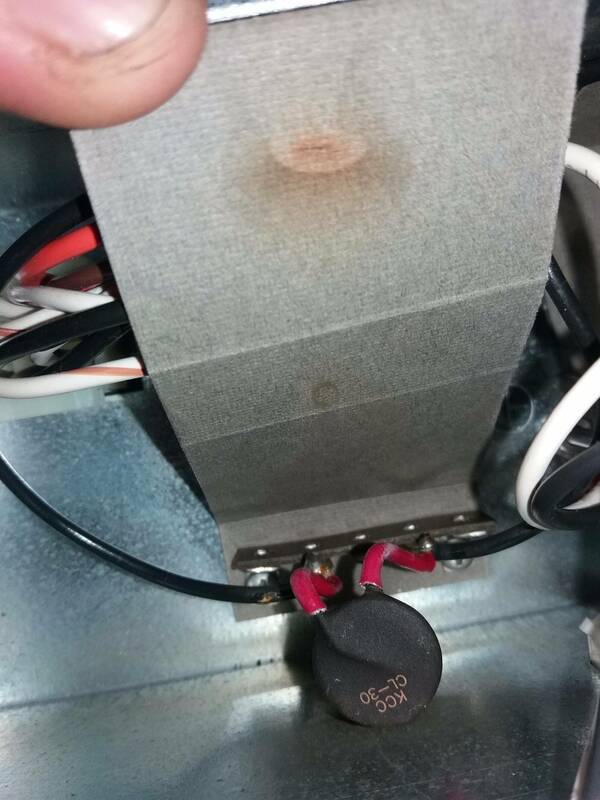 Op: the lightning strike probably took out your varistor as well, open the power box and check. If it hasn't, unplug power to all boards, replace main fuse. 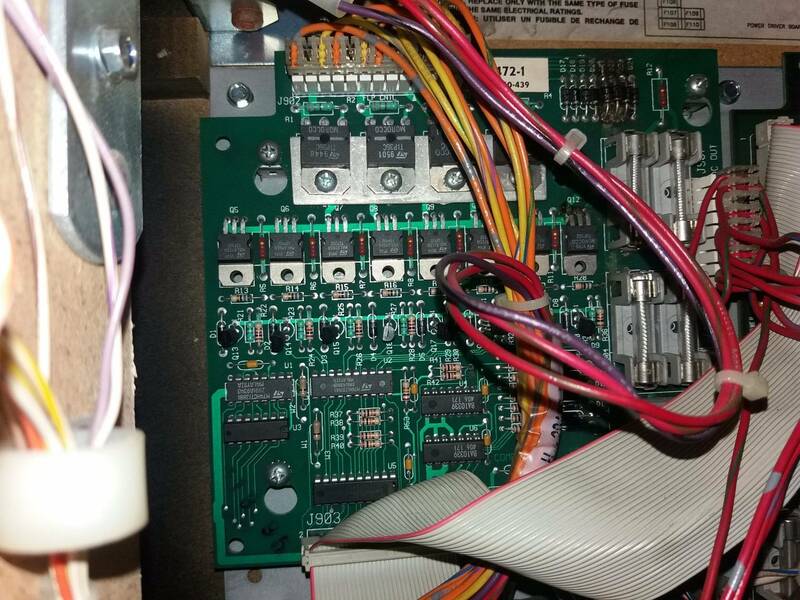 Turn on game, and plug in one board at a time until the mainline fuse blows. This will tell you what board(s) have the issue. Tracking. You were able to discern what he meant. I assume nothing until I know for sure. I do not like helping people if I feel unsure about what is in question. Don't want to help someone only to inadvertently damage something else. OP, good advice by the post above. Let us know what you find. The fuse next to the power switch is rated a slo-blo 8A per page 1-44 of the JM manual. 5A is not enough. Is your game a re-import? Does it have any stickers indicating it was designed for 230V? your last picture looks like some of the insulation has burnt off, or has a hole in it.